The photo is of the small hatchet that resides in my pack all the time. 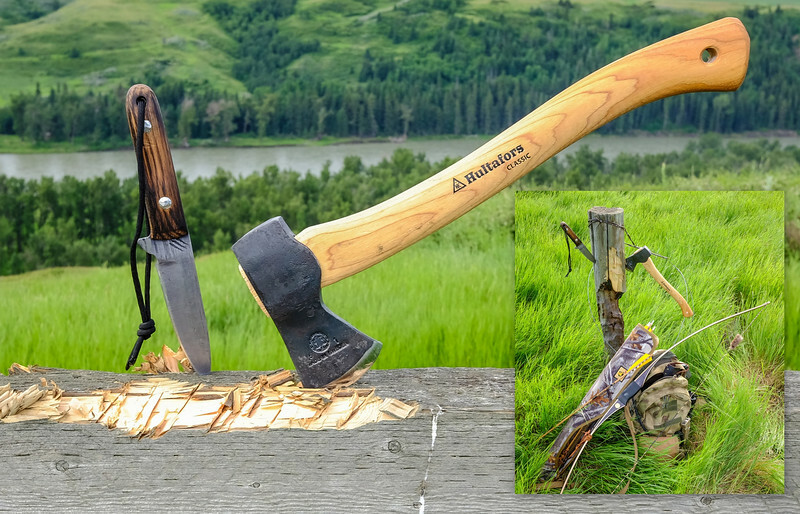 A hatchet built for thriving in the outdoors is part hammer, part weapon, part fire starter, part hunting knife, and having one gives you a range of subsistence options in the wilderness that you wouldn’t otherwise have. Depending on where you live and what kind of survival you plan on doing, take the weight and size of the hatchet you choose into consideration. It also needs to fit easily into your pack and it should also feel good in your hand. The longer the handle, the easier it’ll be to cut things. When it comes to sharpness, the hatchet needs to be able to hold its edge for a long time without being sharpened. Yes, you can carry a wet stone with you but that is another piece of equipment to carry around. Most hatchets are good about this since they normally are made of high carbon steel. The hatchet should be safe to carry around, so a good sheath is required to protect the blade and you. It should also have a good grip on the handle to protect your hands from the impact. If you're looking to buy one, search one that is dependable, retains an edge for a long time, and is the right weight for your pack or bug out bag.